Cape Cod house lift, Wellfleet house lift, Ambrose Homes, Inc. works on Cape Cod specializing in structural shoring, house lifting and moving, new, specialty and helical pier foundations, historic restoration, renovation, remodeling, new floor plans, & kitchen design. 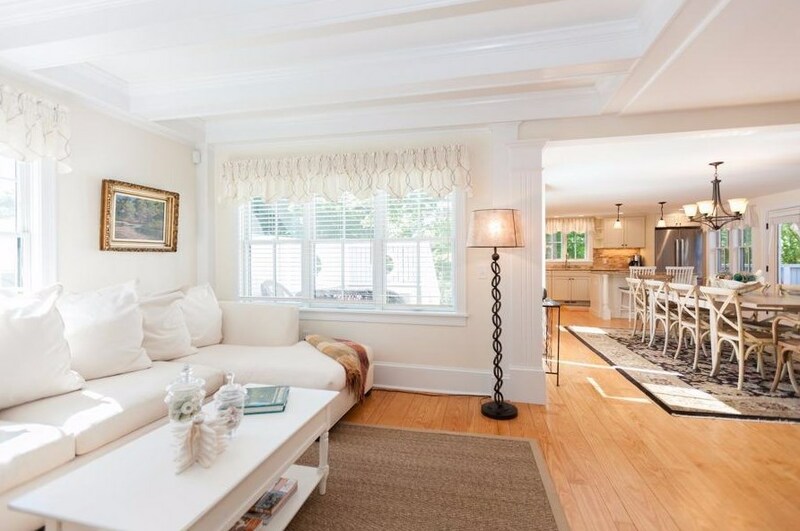 Ambrose Homes, Inc. is experienced and knowledgeable in the unique circumstances found working on Cape Cod, including navigating the complex environmental and regulatory situations in Cape Cod towns. This downtown Wellfleet colonial built in 1832 had significant structural problems and required immediate attention to save it from collapse. Ambrose Homes goal was to restore the original structure and create contemporary living spaces while preserving the architecture of the era. To do this required Ambrose Homes house lifting team to lift the home off of its one hundred and eighty year old foundation and create a new one. Once the foundation was complete the house was lowered back on it complete with all new electrical and plumbing. The other problem was to figure out how to straighten the walls and floors. In order to achieve this we set up a custom array of winches that allowed us to fine-tune the direction of the walls and re-strengthen the floors without having to demolish the home. Ambrose Homes' custom fabrication shop restored the one original one hundred and eighty year-old shutters to pristine condition. We also raised the house on its new foundation approximately ten inches above its prior grade level, which allows smoother access from the sidewalk and reduced steps down to the home from the street. Although the 1832 home remained largely intact the grand facade and fencing had been detroyed over the years. Ambrose Homes researched the original fencing that was prevalent throughout New England in similar homes and custom fabricated fencing inspired by them. Ambrose Homes hollowed out the addition, removing several rooms and a staircase in the process, and redesigned the space to include a master suite complete with bath. 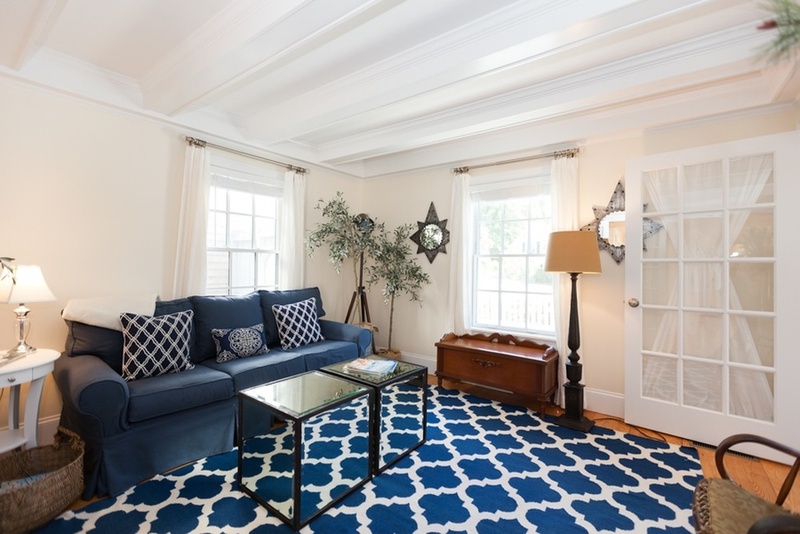 We built coffered ceilings in the living and family rooms, which serve a dual purpose: first, they are aesthetically pleasing, and second, they conceal infrastructure updates without lowering the overall ceiling height. Because of the client's desire to use the home for large occasions and gatherings, we removed walls and reworked the traffic flow of the home as well as creating ease of access to the main rooms of the home from outside.